Jennie Boisvert - Councillor for Clarence Park Ward: Want to be a graffiti removal volunteer? This says it all. How soon until it is covered? says Libby. 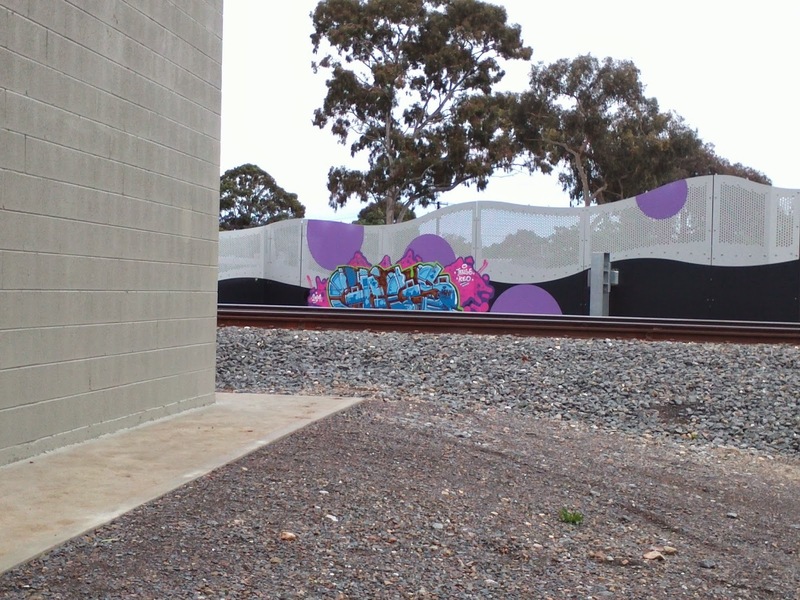 “We’ve also made some good friends through the programme and welcome more volunteers.”To report graffiti or to enquire about joining the volunteer graffiti removal program contact the City of Unley on 8372 5111. This inspiring article you may have read in the new Unley Life magazine. Council are always looking for volunteers to join this team and Goodwood South seems to get its share of the stuff. The graffiti in the train corridors remains appalling; while some of it was painted out much of it is the same stuff that has been there for well over a year. Interestingly, we were promised that DPTI would not only paint all the back fences in a uniform colour but also remove new graffiti quickly. It allegedly couldn't be removed with train works were being done! So what is the excuse for this now?